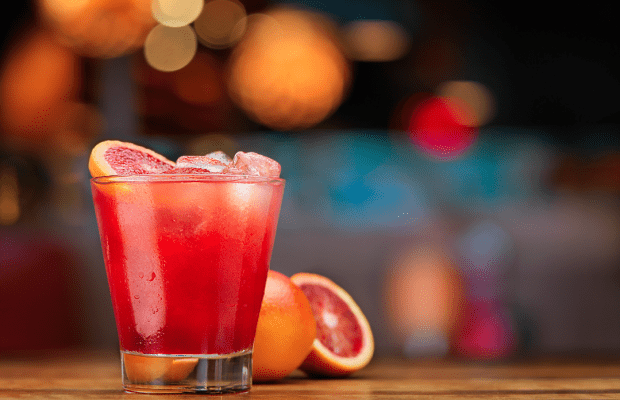 Beat the winter blues with a burst of sunny citrus with our Blood Orange Margarita – the most recent addition to our signature cocktail list. This seasonal fruit is packed with vitamin C and antioxidants so it’s sure to be a bright spot on a cloudy winter day. Our Blood Orange Margarita is made with fresh winter blood oranges, squeezed in house daily. Mixed with Jose Cuervo Gold Tequila, Triple Sec and served on the rocks. Like the watermelon margarita from the 98 days of summer, this exclusive signature drink will only be available for a limited time.